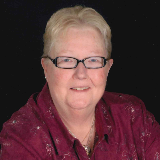 Deborah Shoaf, 64, of Smithville, MO passed away, July 25, 2018. She was born on April 12, 1954 to Roy Glenn, Sr. and Ida Belle (Decker) Shoaf in Coffeyville, KS. Deb grew up in Kansas City and attended Ruskin High School. On September 26, 2009 she was united in marriage to Suzy Vaughn. They lived in Ruskin Heights and moved to Smithville in 2004 where they made their home. Deb was a CWA Union Vice President at AT&T representing Local Union 6450 with a membership of 4200. Earlier in her career, she was also a union steward and a switchboard operator with her sister Judy. After retiring from AT&T, Deb worked for SEIU in Kansas City as a business representative and union steward working grievances and negotiating contracts for Menorah, Truman Medical Center, and Research Medical Center in Kansas City. Deb was a member of the Smithville United Methodist Church, where she was a youth group leader for several years. She found true enjoyment working with the youth at the church. Deb also played guitar at church, gave lessons, and played in the rock and roll band, Tunz for over 20 years, playing in coffee shops and the spirit fest. She was preceded in death by her parents, sister, Glenna Curtin, nephews, Ronnie and Donnie VanVleck, great-nephews, Matthew and Jeremy VanVleck, and father-in-law and mother-in-law, Walt and Jeanie Vaughn. Deb is survived by her wife, Suzy Vaughn; sisters, Sonnie Scott and husband Jack, Judy VanVleck and husband Larry; brother, Roy Shoaf, Jr. and wife, Kila; sister-in-law, Noela Grant; brother-in-law Bob Curtin and wife Sharon; nine nieces and nephews; numerous great-nieces and great-nephews; other relatives and many friends. Memorial Service: 5:00 p.m. Saturday, August 11th at Smithville United Methodist Church with visitation one-hour prior. In lieu of flowers, the family requests donations to Dogs by Debin, 5559 NW Barry Rd #363 Kansas City, MO 64154. They rescue abused and neglected animals. Arrangements, Hixson-Klein Funeral Home, Smithville.